If you thought Baby Week was over... SURPRISE!! Are you loving all of these fabulous giveaways?! It's official--we have had a seven giveaways all seven days of this week. You can check them all out by clicking on the links at the top of the blog. I have one last trick up my sleeve. 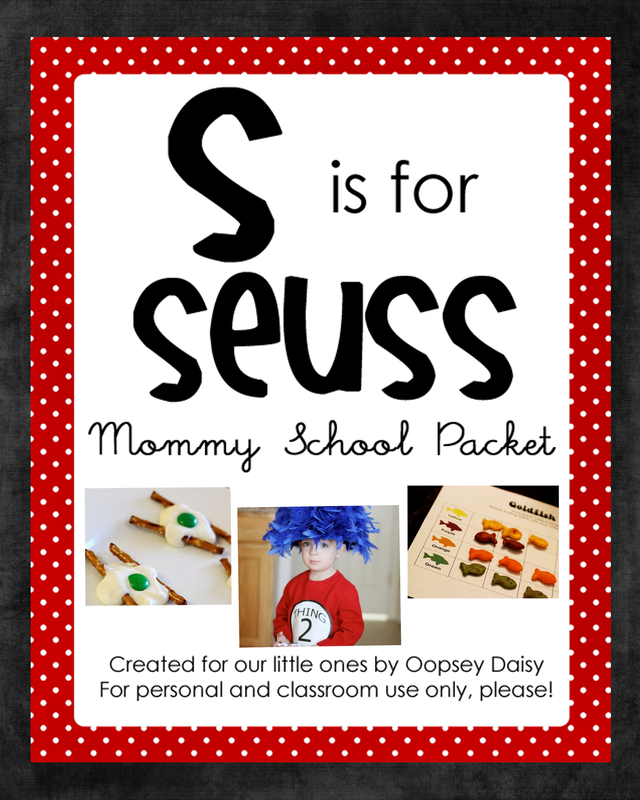 The very talented Staci from Just Sew Sassy is hosting a final giveaway to celebrate Baby Week. * This line is bright, fun, festive, colorful, and oh so sassy! Each burp cloth in the set is designed with details from coordinating fabric line, making each one unique and stylish. * These are made with 100% cotton cloth diapers with extra padding in the center. * Burp cloths and fabric have been pre-washed to prevent any shrinking. * These burp cloths also coordinate with the appliqued onesies from the same line. * The first onesie measures 0-3 months and and is appliqued with a bright pink flower with soft pink stitching around each pedal. 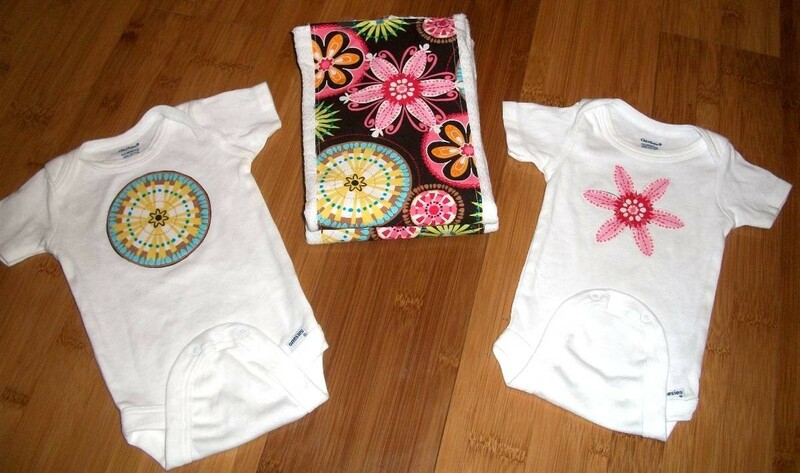 * The second onesie measures 3-6 and is appliqued with a bright aqua flower also surrounded by soft pink stitching. * Onesies are also 100% cotton and have been pre-washed to avoid shrinking. 1. Follow the Just Sew Sassy blog. 2. Check out Staci's etsy store and "like" an item. Let us know which one you like! This giveaway will end at midnight on June 10. You can enter by leaving comments until then. Good luck, readers!! I am head over heels in love with her full aprons! I had a hard time choosing just one to like but I choose the Happy Little Birdie Apron! Its adorable! I really liked the Riley Blake Bright Birdie Minkie Car Seat Blanket Cover. 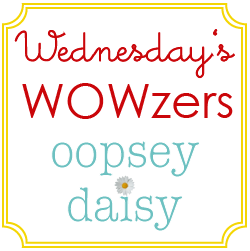 I follow Oopsey Daisy and love it! 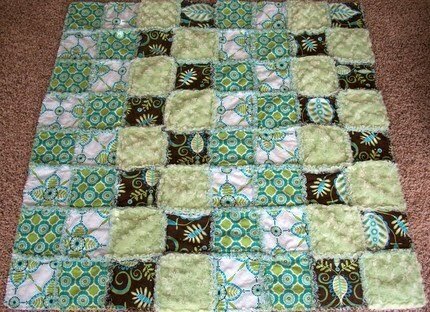 I really like the Michael Miller Baby Rag Quilt. I love rag quilts, just don't have any! I also follow Just Sew Sassy! I follow Just Sew Sassy! 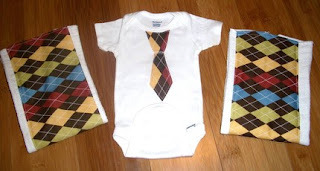 I like the: Classy Baby Boy Burp Cloth Onesie Set. Very cute! TOO CUTE! I follow Oopsey Daisy! I follow Just Sew Sassy. I'm the 100th follower, so I must be lucky! Love it! I follow Oopsey Daisy. I follow Oopsey Daisy. These are darling. 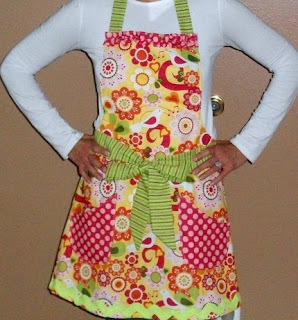 Love that apron too! I follow Oopsey Daisy. Thanks for the great giveaway! I follow Just Sew Sassy! Cute stuff! I really love the colors on the –Set of 4 Bright Happy Riley Blake Designer Burp Cloths –Super cute! I follow the Just Sew Sassy blog. follow the sew sassy blog. I like he set of 3 happy summer riley blake burp cloths in her etsy store. I added it to my etsy favorites! I follow Just So Sassy – yay!! This is such a cute set!! I follow Oopsey Daisy. Great giveaway! I follow Just Sew sassy. Follow the Just Sew Sassy blog. 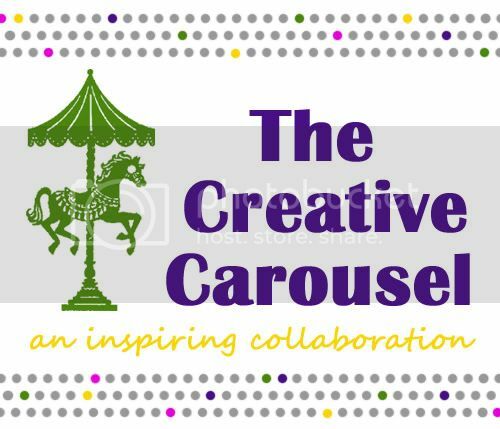 I follow Just Sew Sassy's blog! 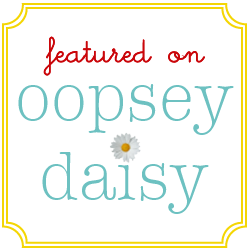 I follow the Just Sew Sassy blog! i love the red, white, and blue apron!